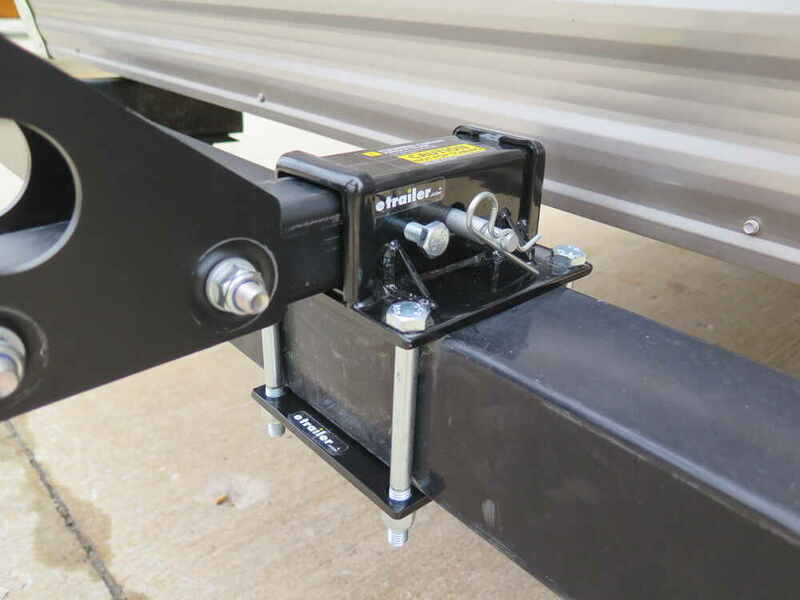 This clamp-on receiver attaches to your 4-1/2" x 4" RV bumper and provides a 2" x 2" receiver opening for a hitch-mounted bike rack, cargo carrier, or other accessory. 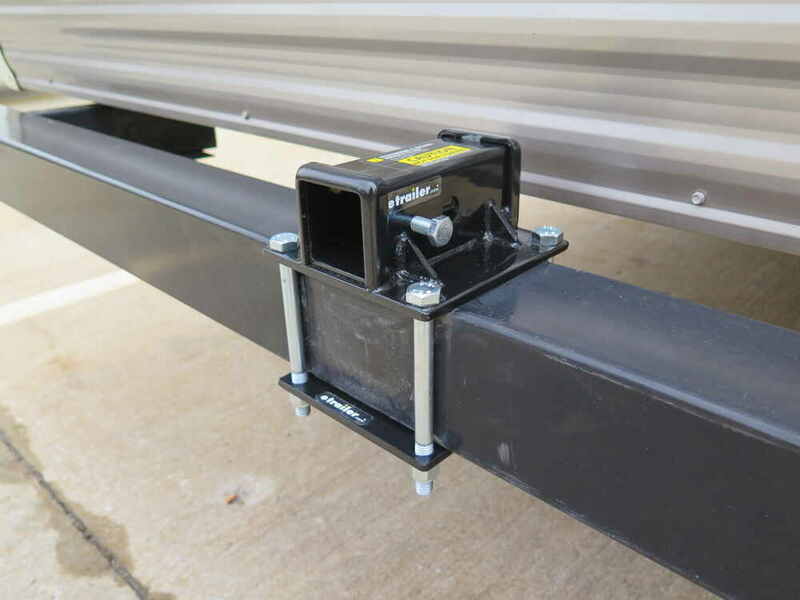 Lowest Prices for the best rv and camper hitch from Stromberg Carlson. 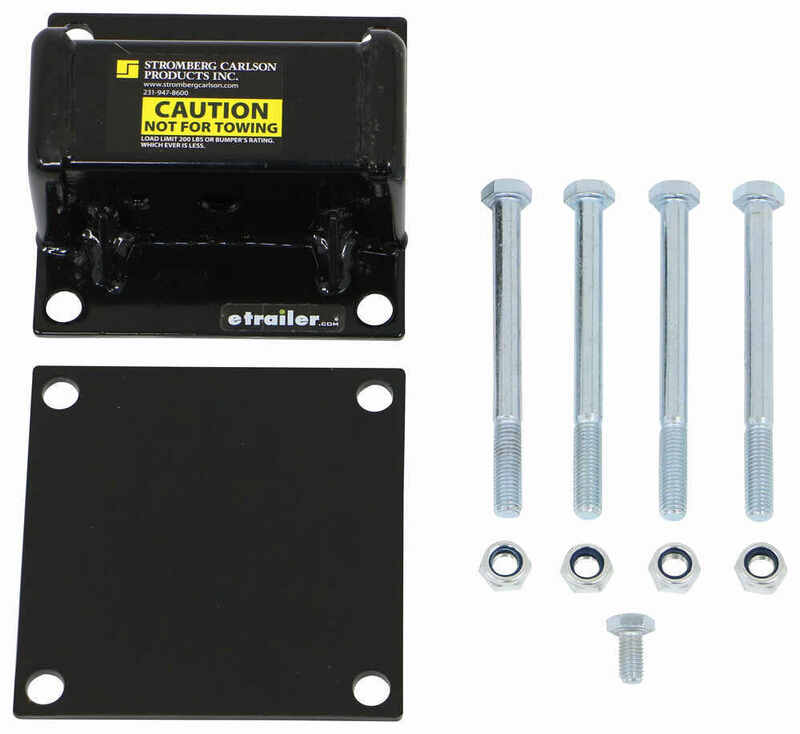 Stromberg Carlson 2" Motor Home Hitch Receiver for 4-1/2" x 4" Bumpers - 200 lbs part number BA-100 can be ordered online at etrailer.com or call 800-298-8924 for expert service. 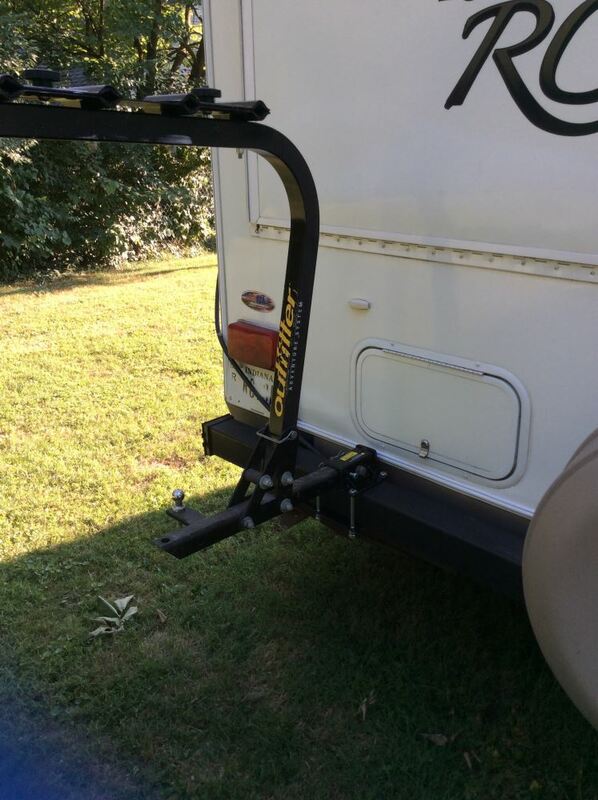 For use with hitch-mounted, RV-approved accessories only. Not rated for towing. Not to be used with an adapter or extender. 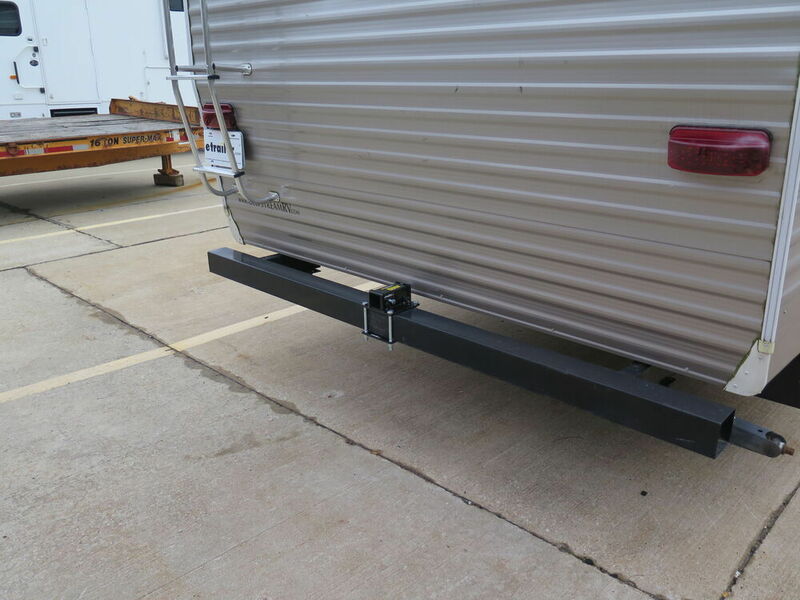 Today we're gonna be taking a look at the Stromberg Carlson two inch motor home hitch receiver. 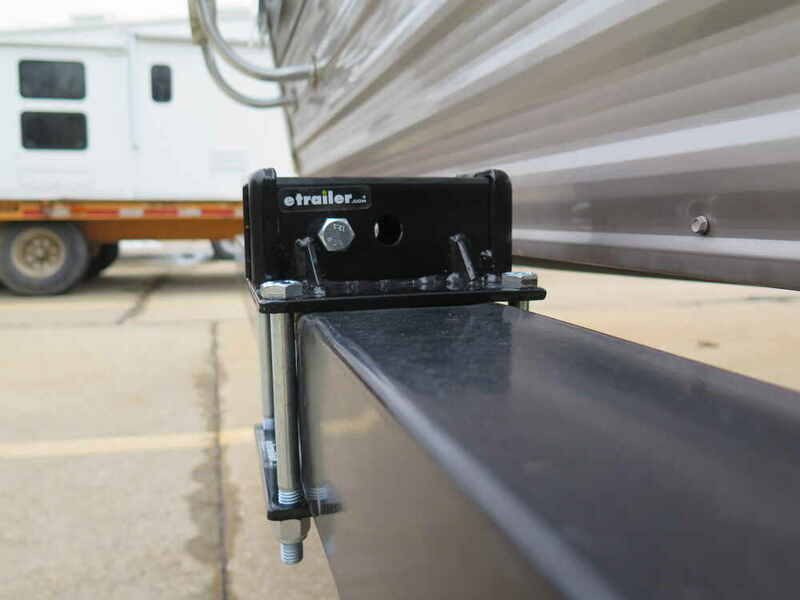 This trailer hitch receiver clamps onto your RV's rear bumper to accommodate hitch accessories such as a bike rack or a cargo carrier. As you can see, I have it clamped onto a block just for demonstration purposes today. 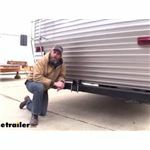 Gives you an idea of how it would fit around your RV bumper. 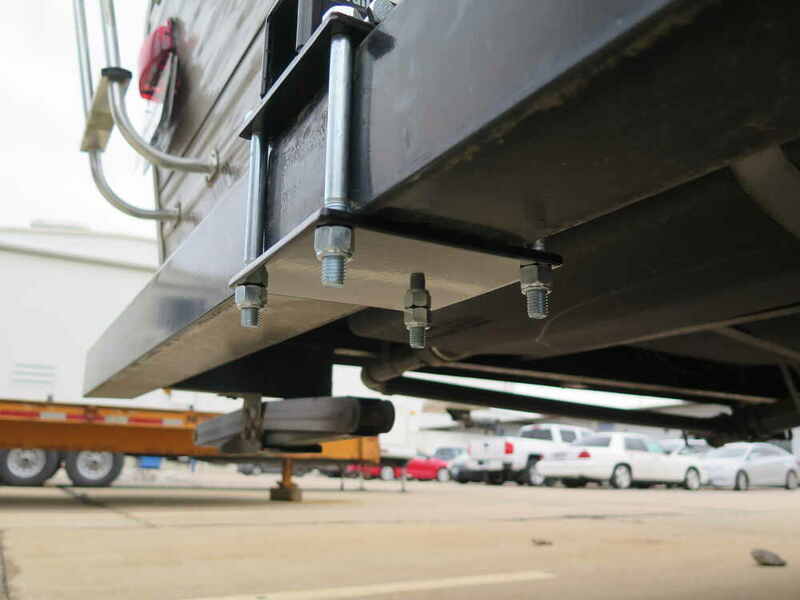 It simply clamps onto the top or it can be rotated to where it's underneath the bumper. It's made from a durable steel construction. It's gonna have a powder coated finish on it, it's black in color. It's gonna do a great job at resisting rust and corrosion, making sure that it lasts for a long time. There's the bottom plate. The hardware is a durable zinc plated hardware so that's gonna do a great job at resisting rust and corrosion as well. And it's gonna come with an anti rattle bolt. 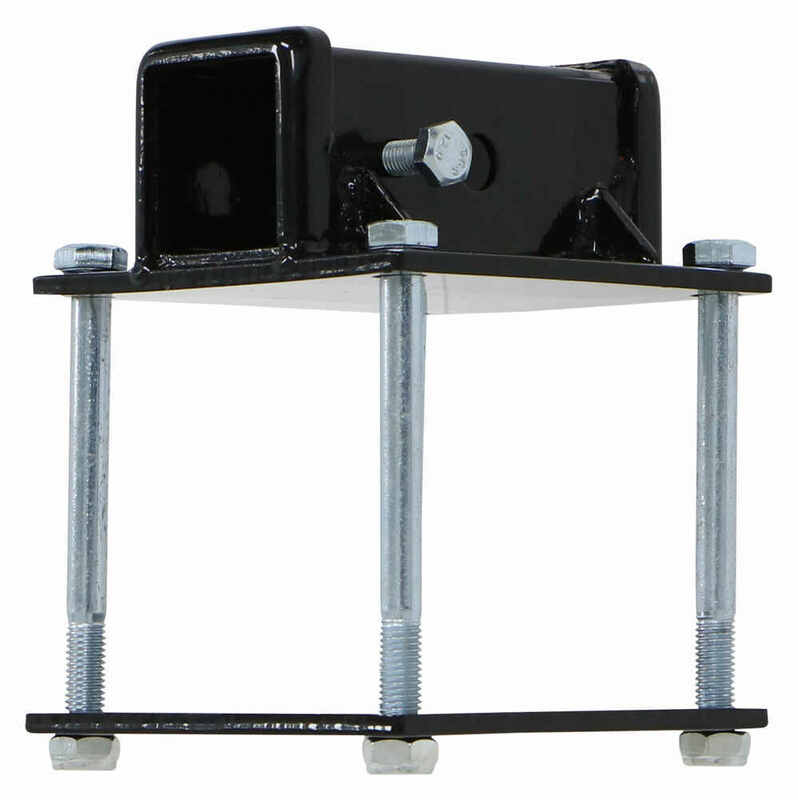 This is going to secure items inside the receiver tube of the hitch. What this does is this really helps tighten the shank of your accessory against one side of the receiver tube so that's gonna help reduce the rattle and vibration that takes place between the shank of your accessory and the inside of the receiver tube of the hitch. This is optional, you don't have to use it, but it is recommended and it is include. 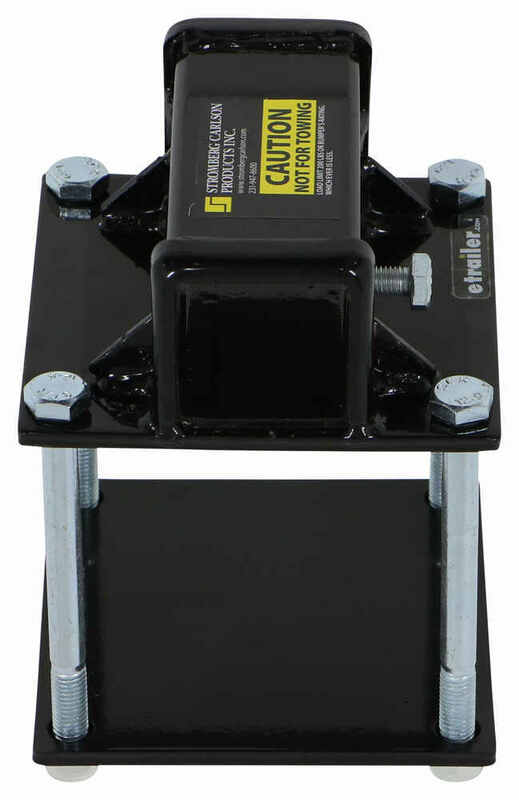 And then located right here is gonna be your standard five eighth inch diameter hitch pinhole, that's gonna allow you to secure those accessories inside the receiver tube of this hitch. Pin and clip or a pin and lock are gonna be sold separately. If you're in need of one, you can find them at etrailer.com. 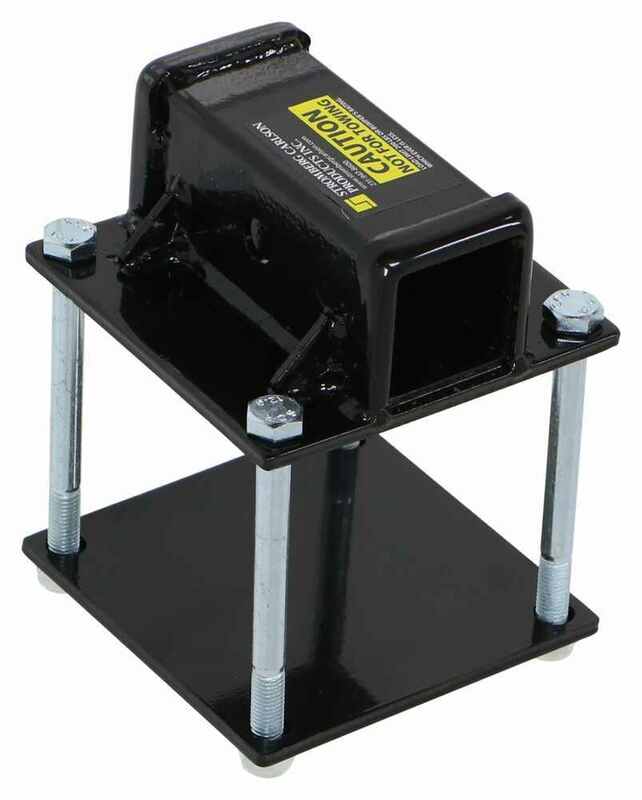 This product is designed to work with a 4" x 4" square bumper or a 4 1/2" x 4 1/2" square bumper. 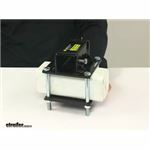 It provides your 2" x 2" receiver opening. Again, the pinhole diameter will accept a five eighths inch diameter pin. 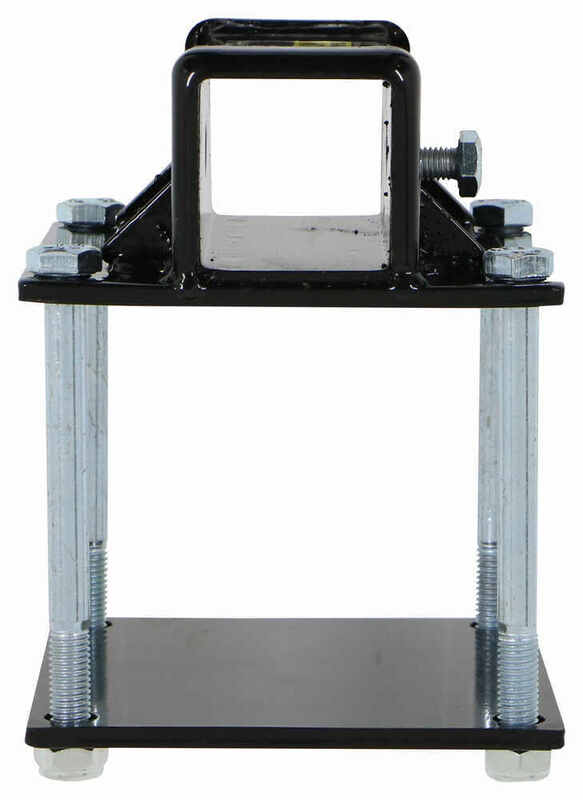 This has a weight capacity of 200 pounds, so be careful not to exceed the weight rating of this or your bumper. Whatever is the lowest rated component. The mounting plates measure 6" x 6". 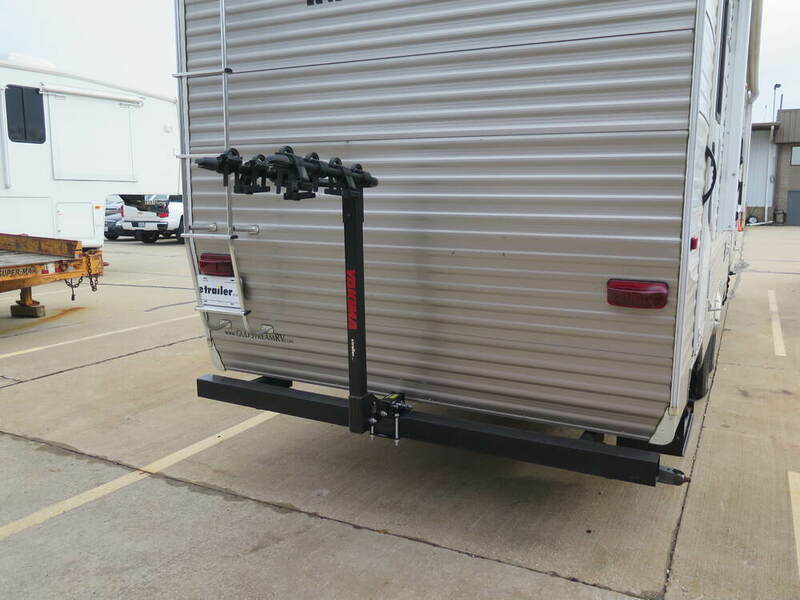 And again, this is for use with hitch mounted RV approved accessories only. It's not rated for towing and it's not to be used with an adaptor or an extender. 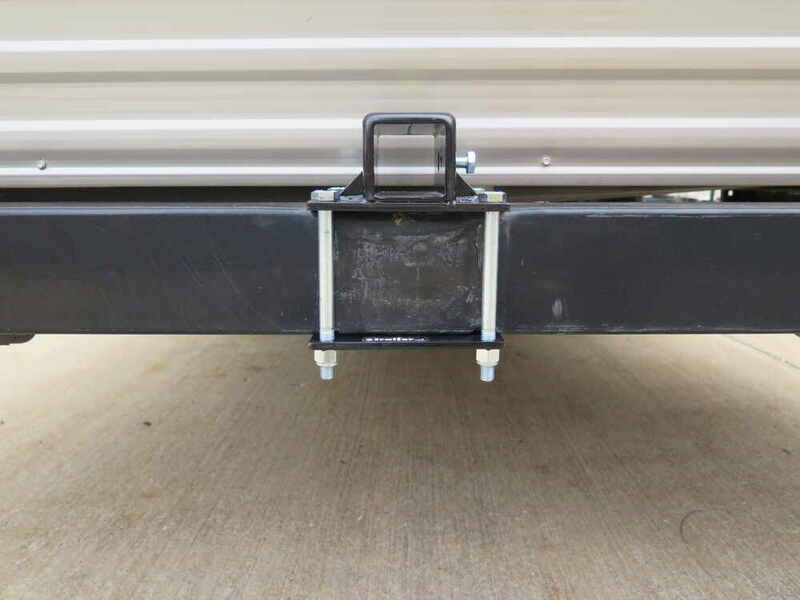 That's gonna do it for today's look at the Stromberg Carlson two inch motor home hitch receiver..
Order: RelevanceNewestRating - High to LowRating - Low to High This clamp-on receiver attaches to your 4-1/2" x 4" RV bumper and provides a 2" x 2" receiver opening for a hitch-mounted bike rack, cargo carrier, or other accessory. 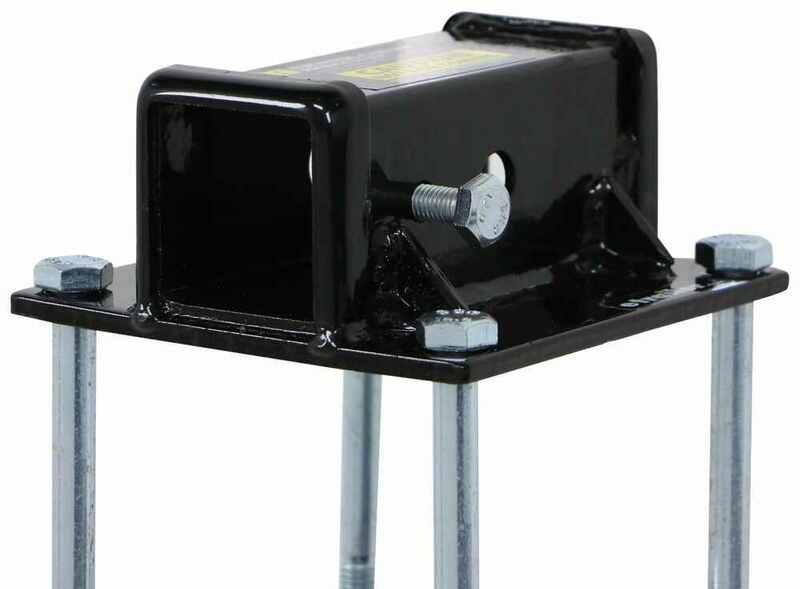 The Stromberg Carlson 2" Motor Home Hitch Receiver for 4-1/2" x 4" Bumpers - 200 lbs # BA-100 has a 6 inch square base and bolt holes that are 5 inches on center. I've attached a photo and video to assist. 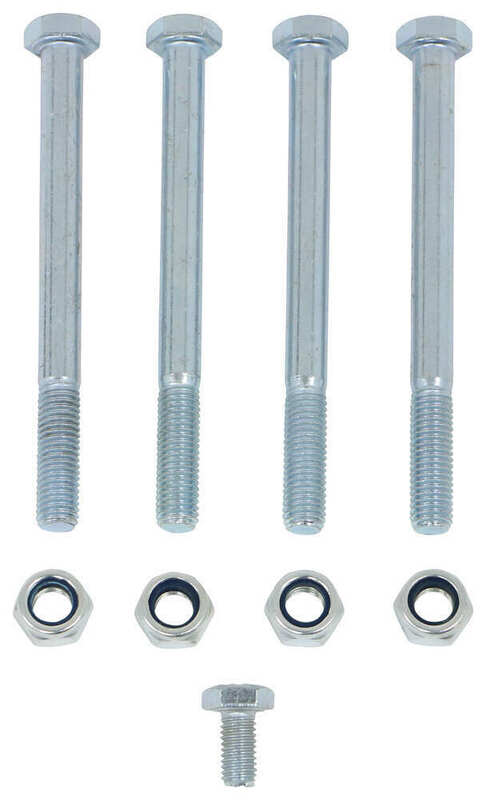 The bolt holes are about 1/2 inch diameter. 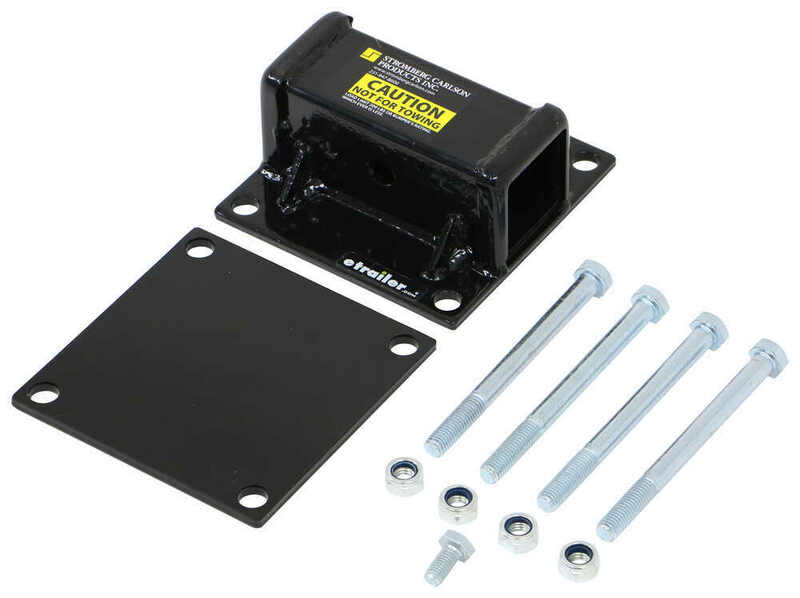 The Stromberg Carlson 2" Motor Home Hitch Receiver for 4-1/2" x 4" Bumpers - 200 lbs # BA-100 will work well for your 4-1/4 inch square bumper. The mounting holes are 5 inches on center and the holes are 1/2 inch, so it will work with your bumper. 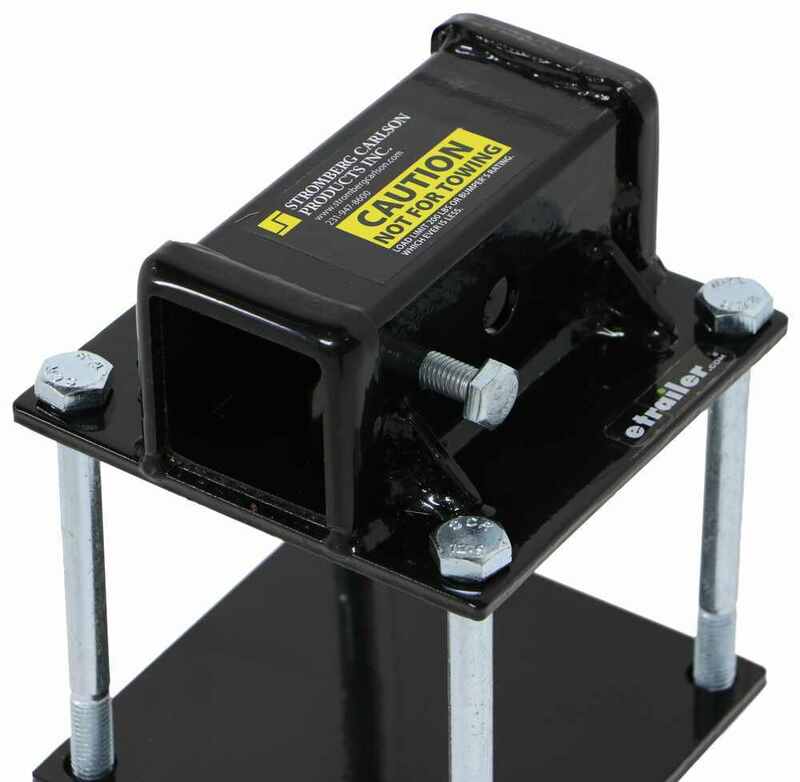 The only real difference, aside from the manufacturer, between the Stromberg Carlson # BA-100 and the Swagman # S64025 receivers is that the Stromberg Carlson fits 4-1/2" x 4" bumpers while the Swagman fits 4" x 4" bumpers. I have linked some review videos for you to check out as well. The distance from the center of the hitch pin hole to the end of the hitch opening on the Stromberg Carlson Hitch part # BA-100 is 3 inches.